The challenge is finally upon him! 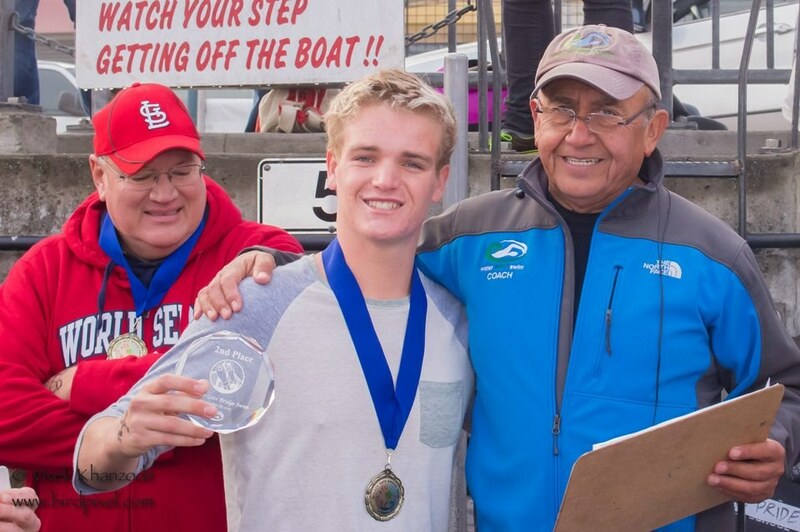 After much preparation this year both at home and with Water World Swim, 17-year old New Waves swimmer Hunter Wright will cross the Strait of Magellan, guided by Coaches Pedro, Levy, and Mike. He will arrive in Punta Arenas to swim in his allotted window of January 14th-21st. The swim is approximately 3 miles long, and consists of unforgiving water from 38-41 degrees F. Currents are expected to be at 12-14 knots from east to west and west and to east, creating whirlpools. Hunter will be the youngest non-wetsuit swimmer to complete it. He is practicing in the bay and in winter lakes closer to home in water from 37-43 degrees. On the maps below, you will find Punta Arenas in the southwestern circle, and the crossing in the northeast. Water World Swim would like to thank the Chilean Navy for their support for the 3rd straight year in a row in helping international swimmers accomplish one of the most challenging crossings in the world! The WWS team would also like to thank General Manager Mr. Enrique Garin for his great coordination with the Chilean Navy and hosting the team in his beautiful hotel, Hotel Rey Don Felipe in Punta Arenas, Chile. We would also like to thank Dr. Marcos Goic Ordenes for his assistance in submitting all initial documentation to the local authorities, and to Port Captain Carlos Ordenes for assisting with and coordinating all initial meetings with the Chilean Navy Regional Admirant Commandant offices.